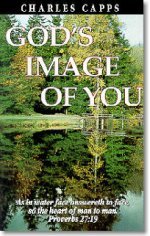 Description: Charles Capps teaches how God sees you, in His Own image, and how that image God puts in His Word is the image you should have of yourself. This is so important, since it has been proven that what or who you imagine yourself to be determines your fate in life. Your self-image can carry you to heights of success or plunge you into the depths of defeat and despair. God's Image of me is the only thing that counts! I love the to hear Charles Capps teach and reading his book about God's image of You was great! Once I realize just how much God loves me and that when He sees me He sees what Jesus did for me then my faith explodes!